Hollywood invades the offices of D & D Investigations in this latest addition to the Diz & Dee mystery series. Christmas comes early for private investigator Dee and her partner, the grumpy but drop-dead-gorgeous elf Dizzy G, when Santa’s elves hire Diz and Dee to find Santa’s missing stand in. Diz and Dee, owners of D & D Investigations, have had some off the wall cases, but none as strange as the case of the missing North Pole elf. Santa’s taken a sabbatical this year, and the elf slated to take Santa’s place in the sleigh on Christmas Eve dropped off the map after losing a few too many competitive eating contests. If Diz and Dee can’t find the only elf who can fill Santa’s suit, it’s game over this Christmas. No less than the God of Love himself, Eros (he doesn’t like the name Cupid), hires Dee and her grumpy but gorgeous elf partner Diz to find his missing daughter. Dyte disappeared after a spat with her parents, and now it looks like someone’s sabotaging the family’s global Valentine’s Day products division. The very same division Eros put Dyte in charge of. No one in their right mind turns down a job offer from one of the old gods. (Have you seen how pointy Cupid’s arrows are?) But how can one elf and one mortal woman track down a headstrong teenage god if she doesn’t want to be found? Human precog Dee and her gorgeous elf partner Diz make a great team. So why would Dee investigate a case without him? With Diz off for the day doing some mysterious “elf thing,” Dee agrees to search on her own for the missing love of her new client’s life. 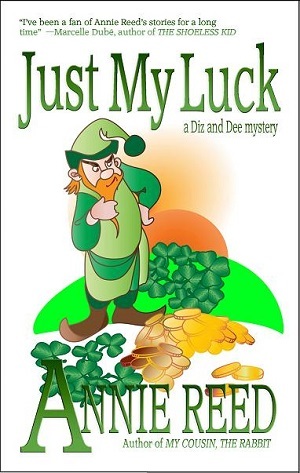 Did the woman simply get a case of cold feet, or is her disappearance part of an elaborate plot to separate Dee’s client, a leprechaun, from his pot of gold? And what’s the real reason her new client doesn’t want Diz to be part of the investigation? 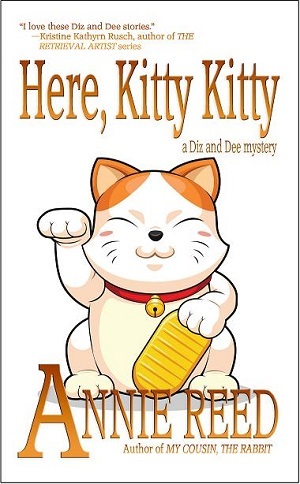 Private detectives Diz and Dee return in a brand new mystery! This time around Dee’s mother hires our intrepid duo to find Dee’s cousin, Harold. The Easter season’s been tough on Harold ever since a high school bully and budding wizard turned Harold into a six-foot tall white rabbit. The spell only lasted for a week, but the experience left shy, introverted Harold scarred for life. 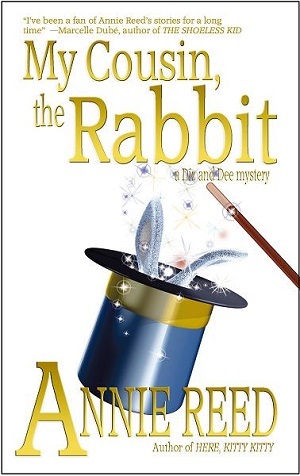 Now Harold’s gone missing, and human precog Dee and her gorgeous but grumpy elf partner Diz have to discover if Harold’s merely hiding out from a yearly overdose of bunny-themed Easter advertising, or if someone has it in for the former rabbit. Someone who could transform Harold into the Easter Bunny for good. 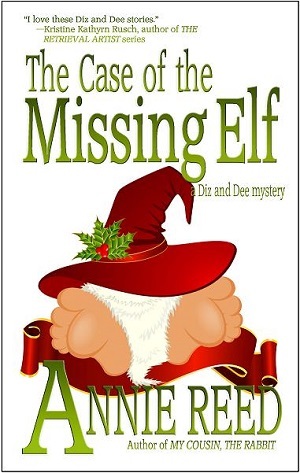 Private detective Dee and her grouchy yet gorgeous elf partner Diz are back in a brand new holiday mystery. 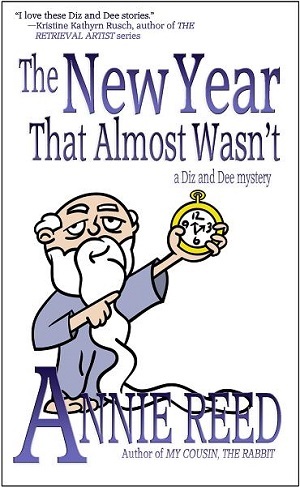 Dee always thought Baby New Year was just a clever advertising gimmick, right up until one of Santa’s elves hires Dee and her grumpy elf partner Diz to find Baby New Year’s missing mother. This time around more than a holiday’s at stake. If our intrepid duo can’t find one very pregnant baby mama and convince her to return to the Baby New Year program, it’s lights out for the entire new year! 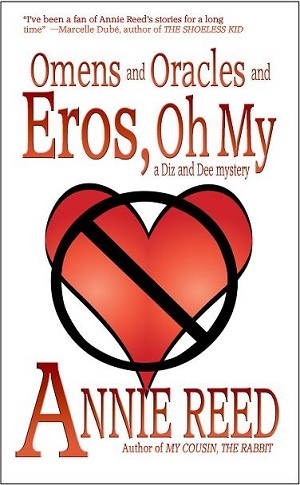 Dee and her gorgeous but grumpy elf partner Diz find missing people for a living. Tracking down a fairy’s missing ceramic cat should be a snap, right?